Due to the bad weather forecasts for Sunday, the planned Big Air competition for freeskiers and snowboarders as well as the U13 Snowboard Slopestyle Contest has been moved forward from Sunday 03.02.19 in Grindelwald to Saturday, 02.02.2019. 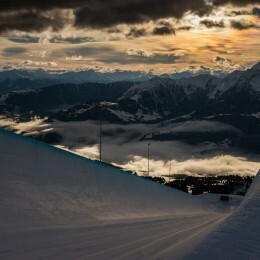 Thus, all contests will take place on Saturday in Snowpark Grindelwald-First. Sunday is scheduled as a reserve day.